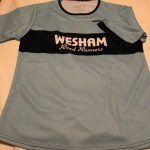 Thinking of becoming a Wesham Road Runner? We are a club of around 150 runners, plus a number of social, life and honorary members. The club offers members the opportunity to run with others of similar standards. We meet on Monday and Wednesday evenings in time to start running for 7pm. Monday evenings usually consists of a brief meeting followed by groups of a similar standard going out for an appropriate run. Wednesdays are used for structured training sessions, hill training, social runs and our beginners group. We offer any prospective new member the chance to come and join us for free to see if we are the right club for you. 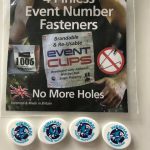 By joining Wesham RR you also become a member of England Athletics. This also enables you to enter races at a reduced entry fee. 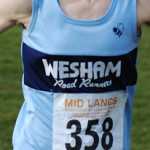 Wesham Road Runners relies on its members to take an active role in the organisation of club activities. We can only continue to offer the range of activities we currently do thanks to current members who regularly volunteer. It is hoped that all members take these volunteering opportunities in return for the support given to them by the club. 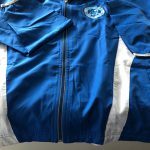 When joining our running club you will be asked if you are interested in marshalling at our races, timekeeping, coaching or first aid. To enquire about membership please contact us.